A string of natural disasters appears to be connected to a recent visitation from an alien species. It’s up to Torchwood to prevent the coming apocalypse… Fans have waited a long time for the return of Captain John, the ying to Jack’s yang. 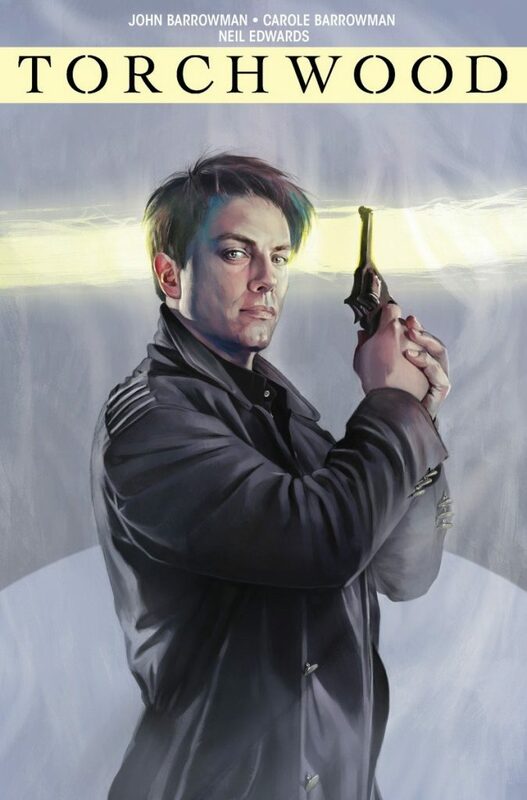 Picking up from the first volume of Torchwood comics, writers John and Carole Barrowman deliver an action-packed epic with that distinctively bonkers Torchwood edge. Money makes the world go round, as can a few too many strong drinks. But when Benny, in a fit of sobriety, agrees to do a pre-Advent favour for Irving Braxiatel, little does she suspect that a bit of corporate schmoozing with a fast food magnate is going to lead her into the biggest spin she’s experienced for a very long time. In a whistle-stop tour of frontier planets, she encounters mysterious burials, guns and swords, legs and claws, lost treasure, mortal combat, conspiracy, stomach-churning posh nosh and a little man called Perkin. Oh, and love and war, again. 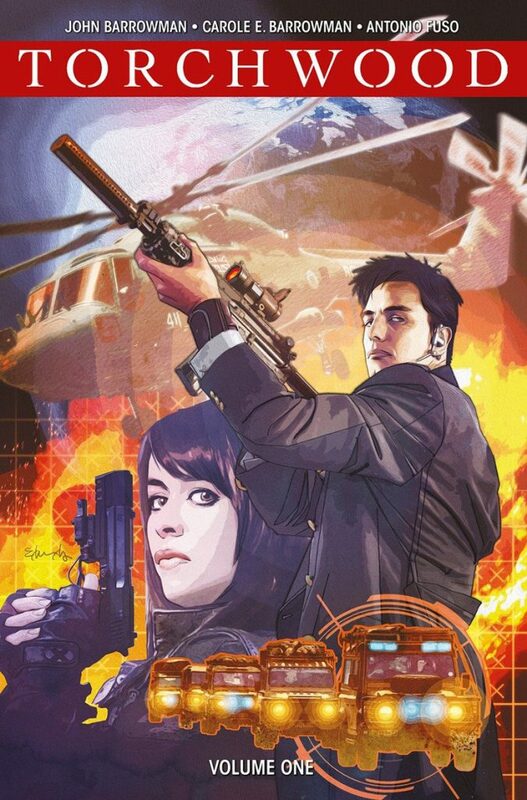 A collection of Torchwood comics, featuring Captain Jack Harkness, Gwen Cooper and Rhys Williams. Jack has returned to Cardiff, and he’s going to need Gwen’s help to rebuild Torchwood from the ground up… Written by John Barrowman – Captain Jack himself! – with his sister and frequent collaborator Carole, this volume launches a brand new storyline for Torchwood, set after the television series. A quest for the ultimate fish and chips leads the Doctor and Hattie to a small seaside town in the ‘70s – and straight into trouble… After a brief absence, this volume sees the return of fan-favourite comics companion Hattie, the bass guitar player from a 40th century rock band.. Set between Series 9 and 10, this collection offers the perfect opportunity to show a different side to the enigmatic Twelfth Doctor. The gemstone that gifted Grant his superhuman abilities has siblings. 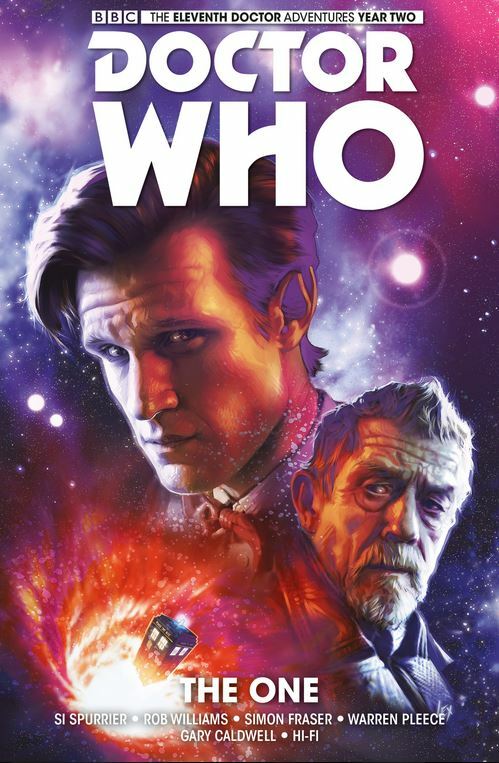 Eight years after his last visit, the Doctor has returned to New York to track them down – but he’s going to need help… As the 2016 Christmas Special saw Doctor Who intersect with the world of comic-book style superheroes, it is only right that that The Ghost should get his own comic. With the entire Gordon/Fletcher clan in tow, the Doctor’s latest travels are very much a family affair! A collection of Twelfth Doctor comics featuring sword-slinging opera singer Julie D’Aubigny and the creative duo behind the smash-hit comic series Time Surgeon. What’s it about? Darkness brews in pre-revolutionary France and a race of psychic vampires terrorises one of the most peaceful planets in the galaxy… Set between Series 9 and 10, these solo trips for the Twelfth Doctor give the comics a chance to go off in their own direction – and what a wonderfully unusual and varied direction it is! A collection of Twelfth Doctor and Clara comics, also featuring Kate Stewart. The Doctor and Clara face impossible odds as the Hyperions – a race of sentient suns who scorched the universe until the Time Lords brought their reign of terror to an end – have returned, and, worse, have come to Earth! Plus – the pair face a marooned creature in a stately home, and visit San Diego Comic Con! A collection of Eleventh Doctor comics, featuring original companion Alice Obiefune and an unusual hitchhiker known as The Sapling. Year Three of the Eleventh Doctor comics sees the return of acclaimed Year One writer Rob Williams and features a funeral, a rogue Silent with its own agenda, and a bright yellow monster truck and more! With an unconventional TARDIS occupant, the return of the David Bowie-inspired John Jones and a balance of wit, action and character drama, this volume looks to have all the elements that made Year One so popular. A collection of Third Doctor comics, featuring Jo Grant, the Master and UNIT. 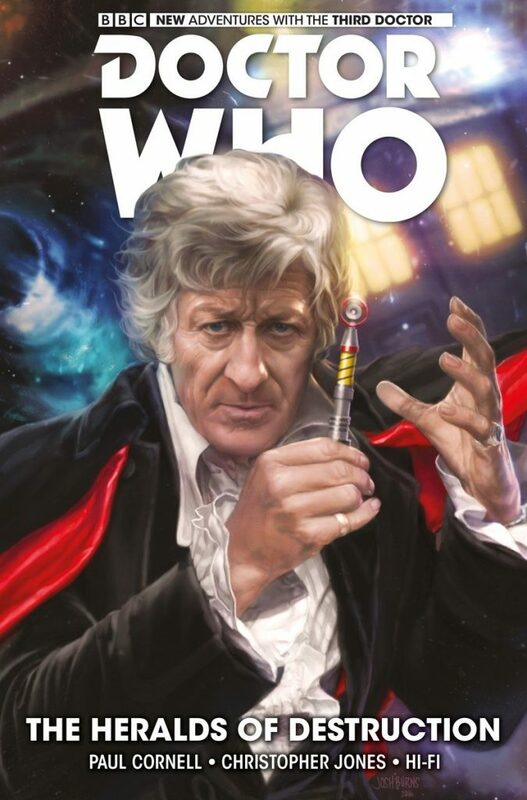 When a figure from the Doctor’s past comes back to haunt him, he finds an ally in an unexpected place… Seasoned Doctor Who writer Paul Cornell (Human Nature, Father’s Day) is well known for his loving yet complex affection for the Pertwee era – expect a classic UNIT escapade, warts and all! The first year of the Tenth Doctor’s Titan Comics adventures collected in one bumper-size volume, featuring comics companions Gabby Gonzalez and Cindy Wu. The Doctor takes Gabby on the journey of a lifetime (with Cindy getting caught up too), meeting former film stars, Weeping Angels and the last of the Osirans along the way! 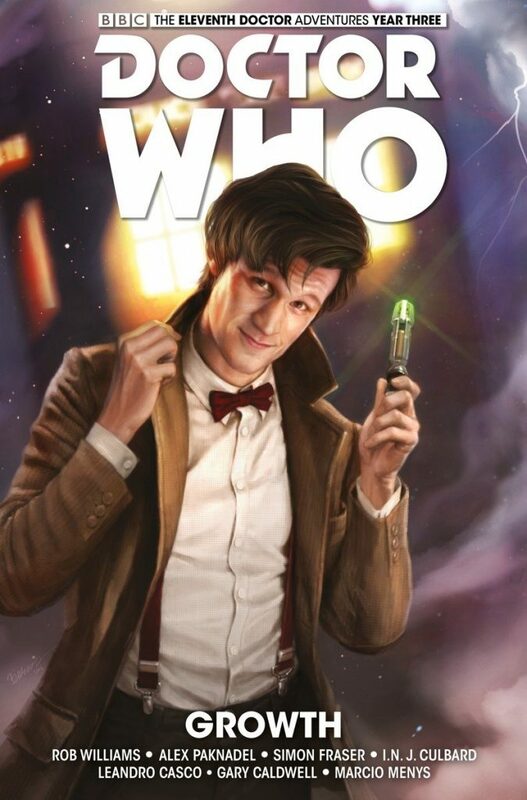 Faithfully evoking the Tennant era whilst also introducing new story threads, this is an excellent place to start if you are new to the world of Doctor Who comics. A collection of Tenth Doctor comics, featuring original companions Gabby Gonzalez and Cindy Wu. 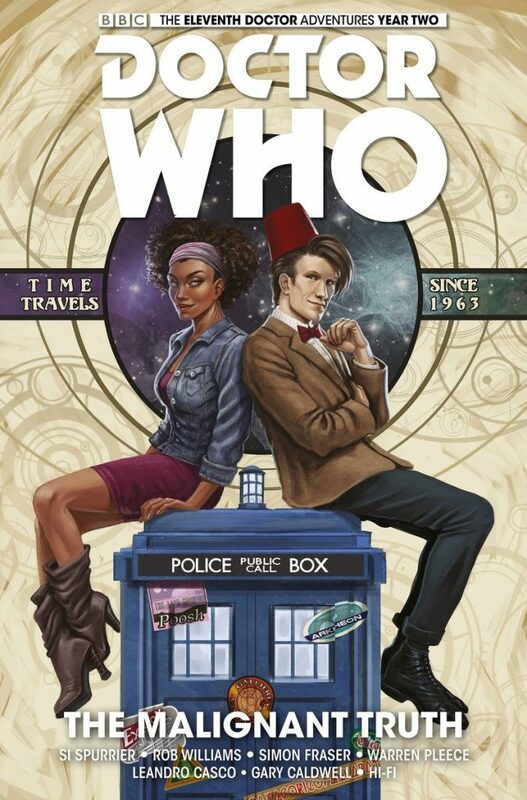 The Doctor sleeps on the streets of a megacity, Gabby and Cindy take up jobs at a TARDIS dealership and a god-like being pays a visit to ancient China… The Tenth Doctor, Gabby and Cindy are now a well-established team, so it is only fitting that this volume should spice up their dynamic and take their characters to unfamiliar places. There’s also a new companion thrown into the mix – one quite unlike anything that could be achieved on TV! A trilogy of novellas featuring time-travelling archaeologist Bernice Summerfield, written by Jonathan Clements, Marc Platt and Pete Kempshall respectively. 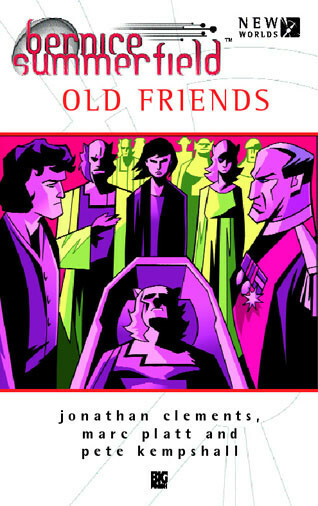 Late 2562: Bernice Summerfield is 22 and en route to the ruin of Earth. She’s young, she’s single, she’s just got an MA in archaeology. There’s a life of adventure in front of her. And then she meets the half-human, half-lemur Ivo, whose life she’ll completely knock sideways. 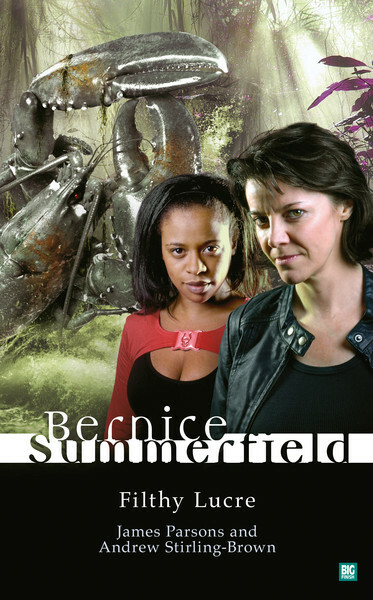 Late 2607: Professor Bernice Summerfield is… well she looks nearly 40, but it’s difficult to tell what with all the time travel. She’s on her way to a funeral, and to meet up with people she’s not seen since her 20s. Jason is keen to go with her. Benny never talks about that period of her life – what she did to keep out of the war, where she travelled, how she survived, or who it was broke her heart. She’s run through all time and space to avoid this reunion. But the best-selling author of Down Among The Dead Men must finally uncover her own past. A collection of Tenth Doctor comics, featuring original companion Gabby Gonzalez. The Doctor and Gabby take a terrifying trip into history when a left turn in the Time Vortex strands them in the bomb-besieged trenches of World War II. And it’s not just the churning mud or the constant bombardments they have to worry about… the fearsome Weeping Angels are here and feasting on the futures of the soldiers on all sides! The Doctor is imprisoned for a murder he didn’t commit, Jack takes centre stage in an adventure of his own and Rose wakes up in a hospital delivery room… With plenty of Ninth Doctor stories already to his name, it seems like there is no end to writer Cavan Scott’s brilliance in concocting new adventures for the most fantastic of time travellers. This volume delves into Jack’s seedy past as a Time Agent, and brings the Ninth Doctor face to face with a classic monster he never had the chance to meet on television! 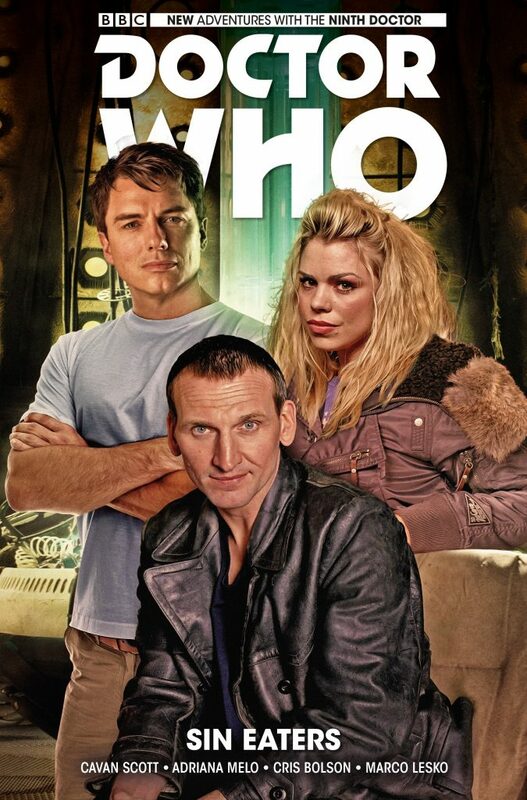 A collection of Ninth Doctor comics, featuring Rose Tyler, Captain Jack Harkness and UNIT. In the ’70s (or is it the ’80s? ), a whistleblower is set to reveal the truth about aliens to the British public. Can the Doctor stop her? And does he even want to…? With security leaks, reflections on the Time War and an unconventional UNIT family, this storyline from Cavan Scott (Weapons of Past Destruction) should be a complex mish-mash of the classic and contemporary. 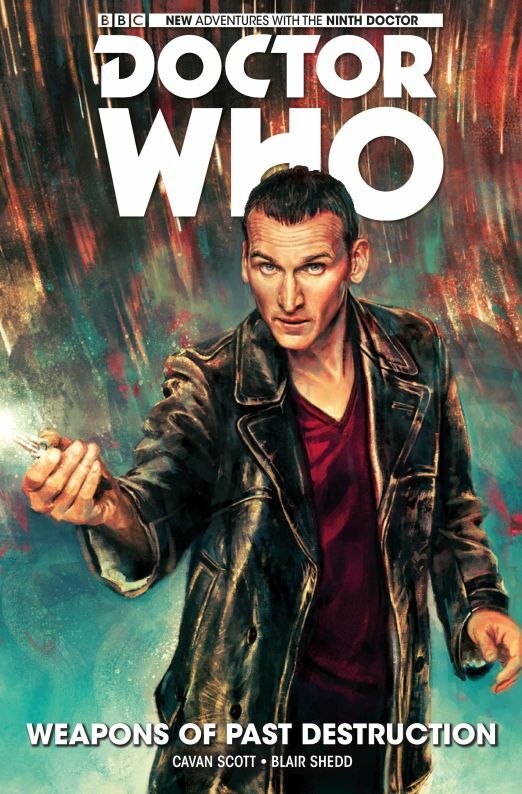 This volume also introduces a new companion for the Ninth Doctor, as well as hinting at some of Jack’s missing memories! A collection of Ninth Doctor comics, featuring Rose Tyler and Captain Jack Harkness. A collection of Eleventh Doctor comics featuring original companions Alice Obiefune and The Squire, with guest appearances from Abslom Daak and the War Doctor. A dark secret from the heart of the Time War haunts the Doctor. Searching for answers, Alice finds herself trapped and alone in the hellish time-locked conflict. 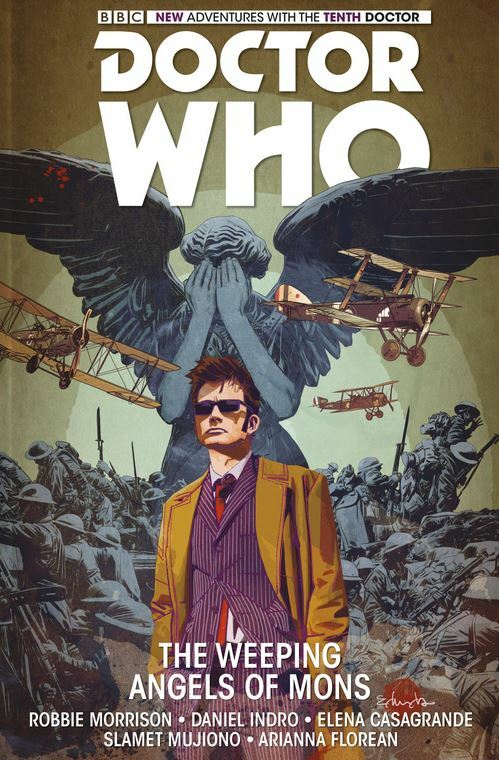 Her only hope for survival may be a warrior with no name… The latest big Eleventh Doctor arc concludes with this collection, promising explosive revelations about the Time War and the Doctor’s potential involvement in a terrible atrocity. Will Alice be reunited with her Doctor or is she trapped in the Time War forever? The first year of the Eleventh Doctor’s Titan Comics adventures collected in one bumper-size volume, featuring comics companions Alice Obiefunem John Jones and ARC. The day that Alice Obiefune buries her mother is the worst day of her life, but it isn’t long before she is flitting about the universe, meeting her Mum’s teen idol, running into giant alien bulls and incurring the wrath of a sinister corporation…! Packed to the brim with charm, whimsy and strong characterisation, this comics collection represents some of Titan’s best Doctor Who output. There is also a wealth of David Bowie references woven throughout the adventures thanks to the character of John Jones, making this a must-have for fans of the original rock’n’roll alien, Ziggy Stardust. A collection of Eleventh Doctor comics featuring original companion Alice Obiefune, with guest appearances from Abslom Daak, River Song and the War Doctor. The Doctor struggles to clear his name, and rediscovers more of what his War Doctor incarnation got up to during the Time War. Plus: the Squire uncovers her true past; Alice cracks a temporal mystery; Abslom Daak uses his chain sword to bash things a lot; and River Song undertakes the best jailbreak of ANY century!